Asset is the Toronto-based, espionage web series created by Matthew Carvery. The series aired on JTS.tv in January 2014. Choose Your Victim is a Vancouver-based, horror web series created by Gigi Saul Guerrero and Luke Bramley. During the show's release, the viewers voted for which character would get killed off next. The reviews follow the voting process, and were originallly published in tadem with the release. The series released via YouTube in June 2012. Drifter: Lonesome Highway is the second season of Jason Braiser's post-apocalyptic, American Civil War series that follows a ex-FBI agent on her path to revenge. Produced by American Wasteland Entertainment, Lonesome Highway is the continuation of Drifter: Broken Road. Season 1 can be viewed in its entirety on their website. The Last Fall of Ashes is romance drama based in Vancouver, B.C. The series follows Alina as she navigates from a troubled past through to a new fairytale love. The web series is written and directed by A.A. Wintringham and produced by an Macleod. The series can only be watched on JTS.tv. LESlieVILLE is a lesbian romcom based in Toronto, Ontario and written and directed by Nadine Bell. According to the series website, LESlieVILLE is Bell’s personal contribution to the online lesbian community. The community had inspired Bell through the years with original fiction and access to clips of gay/lesbian film and TV characters long before the days of YouTube and Tumblr. Originally aired in February 2013. Ruby Skye P.I. is a mystery web series geared towards kids that follows Ruby Skye and her geek smart younger sister Hailey. 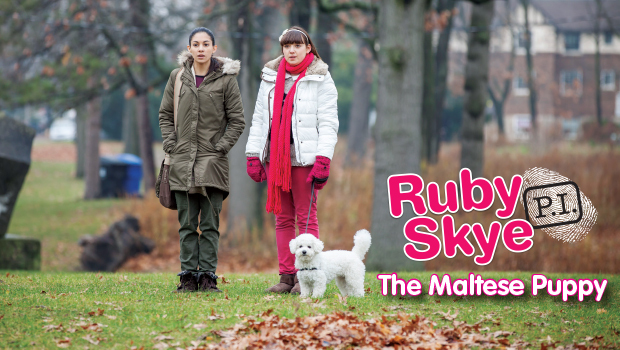 Created by Jill Golick, the third season, The Maltese Puppy, is distributed strictly through Kid's CBC. Season 1 aired on YouTube in July 2012. The web series is funded through the IPF and the OMDC. STILL is a horror/sci-fi web series based out of Everett, WA. and created by Jonathan Holbrook. The series originally aired in October 2013.